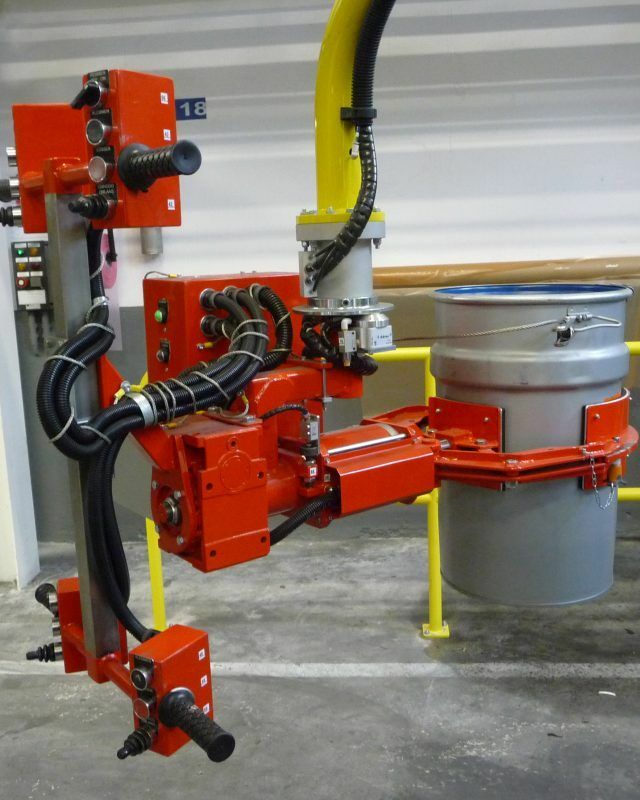 Industrial manipulator equipped with drums lifting device, column mounted, designed for gripping and emptying of drums with a weight up to 250 Kg. 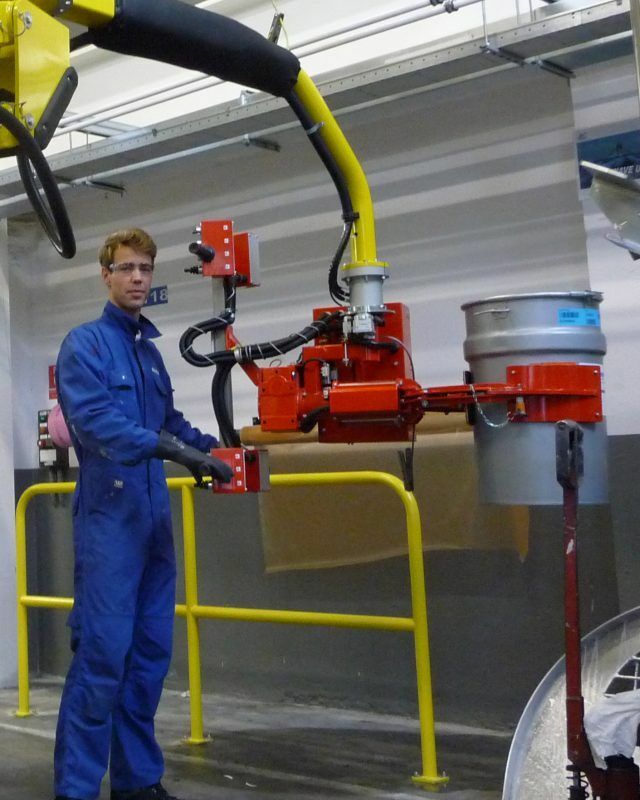 The tooling is able to overturn of 180° the drum and empty its contents thanks to a pneumatic device. Easy to use, they allow the operator to handle drums, and food products of all kinds throughout the working area quickly, accurately and safely. Industrial manipulator equipped d with drums lifting device, column mounted, designed for gripping and emptying of drums with a weight up to 250 Kg.